Eggcellent Easter savings at Delta Force! The Easter holidays are fast approaching and kids all over the world are soon to develop a condition commonly known as ‘chocolate face’. With over 25 years eggsperience in the industry, Delta Force Paintball is the leading UK operator when it comes to hosting paintball events. 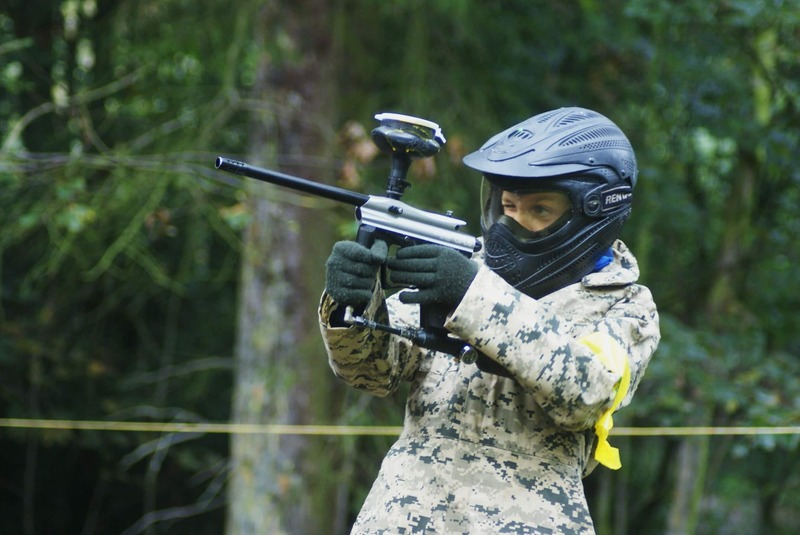 Perfect for kids and adults alike, our award winning paintball days are the ideal antidote to all that Easter overindulgence! So what can we offer you…? Whether you’re smoking out a two-storey fortress in our Castle Wallenberg game zone or unleashing your inner Lara Croft in our Tomb Raider scenario, you’re sure to take home some incredible memories when you visit your local Delta Force Paintball centre. All of our game zones are based on popular movies or iconic locations, meaning you’ll feel every inch the film star as you strut your stuff on set. You can expect to play between 12-14 games throughout the course of the day, meaning you really do get the full movie set eggsperience! At Delta Force Paintball our number one priority is always your safety, which is why we offer all guests full body combat suits with padded collars and US-spec goggles as standard, completely included in your entry fee. Guests are welcome to purchase additional items for extra comfort – such as armoured gloves – from our basecamp shop on the day. Delta Force Paintball is an accredited member of the UKPBA (the UK’s largest paintball governing body), giving you and your group total peace of mind. At Delta Force Paintball our number one priority is always your safety, which is why we offer all guests full body combat suits with padded collars and US-spec goggles as standard, completely included in your entry fee. Guests are welcome to purchase additional items for extra comfort – such as armoured gloves – from our basecamp shop on the day. Delta Force Paintball is an accredited member of the UKPBA (the UK’s largest paintball governing body), giving you and your group total peace of mind (Please note: Mini paintball is played with lighter guns and less powerful paintballs). Want to find out more about our eggcellent Easter offers? Great! Simply call one of our friendly event coordinators on 0203 869 9301. Our phone lines are open 24 hours a day, 7 days a week. Alternatively you can contact us to request a callback at a more convenient time.